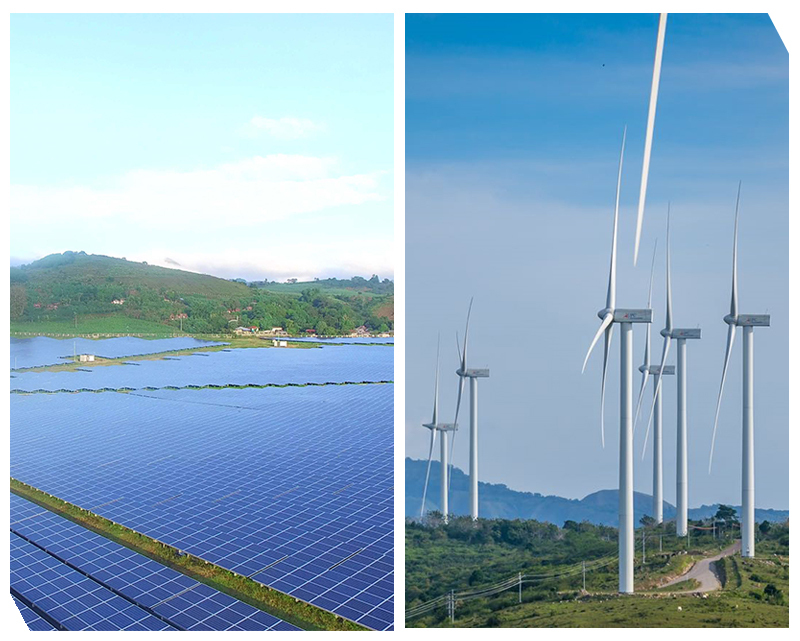 (L-R) The MonteSol solar farm in Bais, Negros Oriental and the Sidrap wind farm in South Sulawesi, Indonesia. On September 26, AC Energy and AboitizPower entered into a share purchase agreement for the proposed partial acquisition on AC Energy’s thermal portfolio. The partial sell-down, which includes the GNPower Mariveles and GNPower Dinginin assets, represents approximately 35% of AC Energy’s attributable capacity in thermal. AC Energy remains to have 51% of voting shares on both assets. This is the sixth-largest domestic merger-and-acquisition deal, and the fourth biggest in the local energy sector over the past three years, data from Thomson Reuters showed. The deal will enable the expansion of AC Energy’s domestic and offshore renewable energy businesses with a balanced portfolio in renewable and thermal energy. The company aspires to develop 5 GW of attributable capacity and generate at least fifty percent of energy from renewables by 2025. In 2018 alone, AC Energy has partnered with the BIM Group of Vietnam to develop over 300 MW in solar energy, and entered the Australian renewables market through a joint venture with UPC Renewables, which has both solar and wind projects in the pipeline. “We expect to build on this momentum and add more projects in the future,” Francia says.